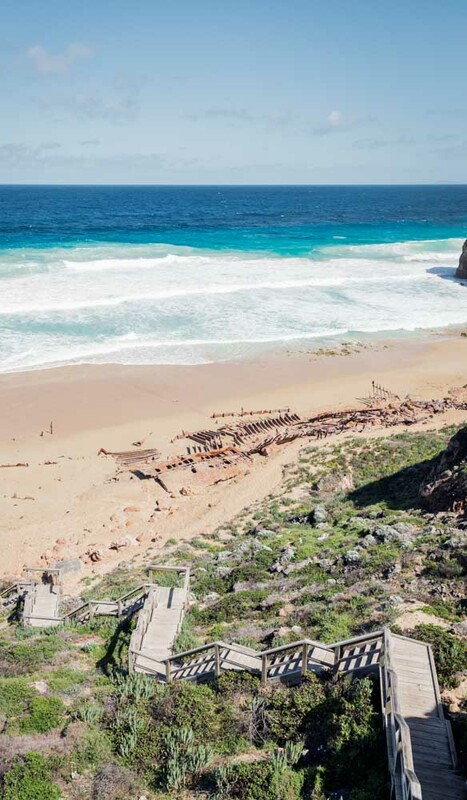 The wreck of the Ethel, below the rugged cliffs of Ethel Beach on the Yorke Peninsula (photo: Michael Wee). 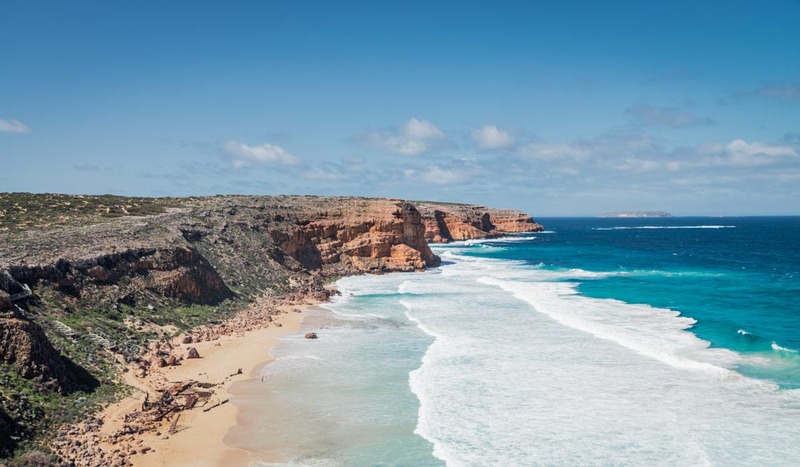 From oceanside wilderness to fine dining, and peoples old and new, the windswept beauty of the Yorke Peninsula provides an epic drive to remember. Not long ago, Yorke Peninsula’s pristine southern coast was deserted, with nothing but sandhills, spinifex, sandstone cliffs and the rolling Southern Ocean beyond. Now you can have a gourmet meal with matching wines on an isolated stretch of beach, thanks to Yorkes Uncorked. Amanda Cleland and Jo Sandercock’s mobile catering company embraces pop-up restaurant charm and quality in pristine outdoor settings. They created the venture in 2015, realising their Yorke Peninsula home had something special with which few visitors had ever engaged. 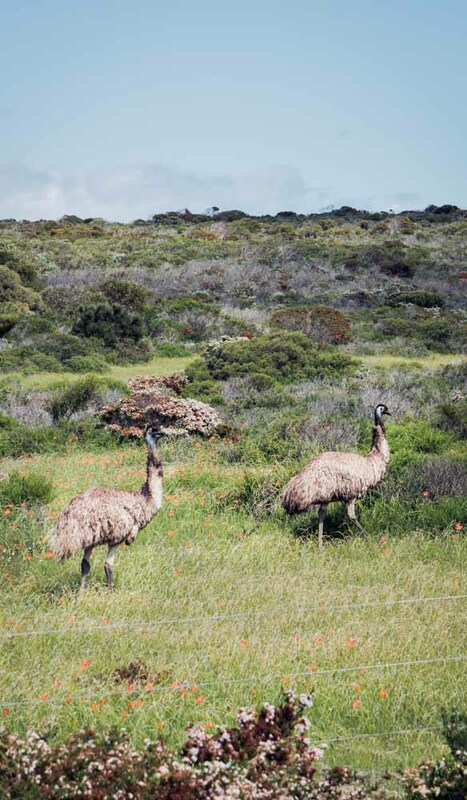 A land rush for absolute beachfront property began across all parts of the peninsula, and now grand residential homes sit beside sparkling rental properties along growing communities from Wallaroo’s North Beach to Marion Bay at the peninsula’s south-eastern toes. This transformation becomes apparent as you drive along the Coastal Way, a vast ring route around the peninsula. A bold new generation of shorefront houses poking between dunes and older shacks provides a striking contrast to expansive sweeps of wheat and barley fields. St Vincent to the east represent paradise for amateur anglers, sports fishers and professional crews. 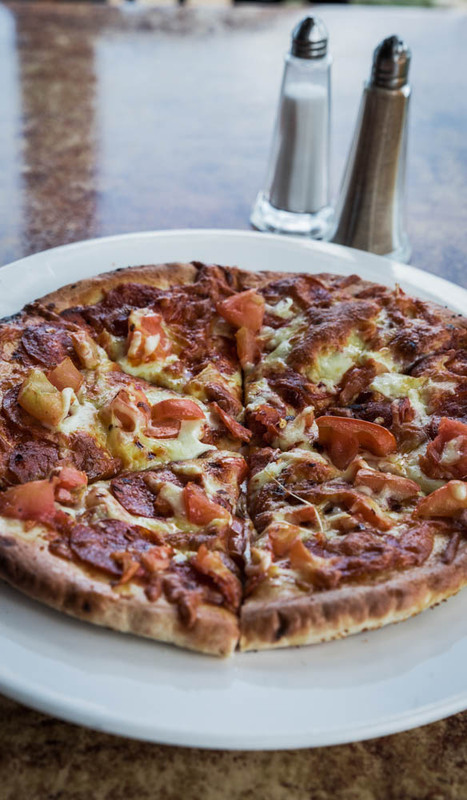 A taste for seafood is noticeable as soon as you arrive at Ardrossan on Yorke Peninsula’s east coast, less than two hours’ drive from Adelaide. It has beach areas to rake for crabs, while the caravan park hires out crabbing equipment, and has good crab-cooking facilities for guests to use. Port Vincent, 46 kilometres further south, is known as the peninsula’s watersports capital. Its large marina mostly accommodates boats making day trips across from Adelaide, and its sheltered waters are ideal for sailing and kayaking. Especially popular as a fishing destination, Port Vincent’s population swells fourfold in summer, filling two caravan parks and an abundance of holiday rentals. Bay, serves delicious fillets of King George whiting coated in Coopers beer batter. For shellfish fans, Pacific Estate Oysters at nearby Stansbury invites visitors to sign on as deckhands to attend its lease in Oyster Bay. Proprietors Steve and Gerri Bowley say the interactive trip (included in the price of fresh oysters) explains the unique qualities of Stansbury oysters. These grow slowly, taking two years to reach maturity (almost double the duration of oysters from western Eyre Peninsula) and boast a hard shell with a rounded shape. Pacific Estate Oysters sell direct from its Stansbury processing shed, but phone ahead to make sure stock is available. The most infamous is the Clan Ranald, which sank in 1900 off Troubridge Island, visible from Edithburgh. It claimed 40 lives from a mostly foreign crew of 64, with their mass grave located at the rear of Edithburgh Cemetery. 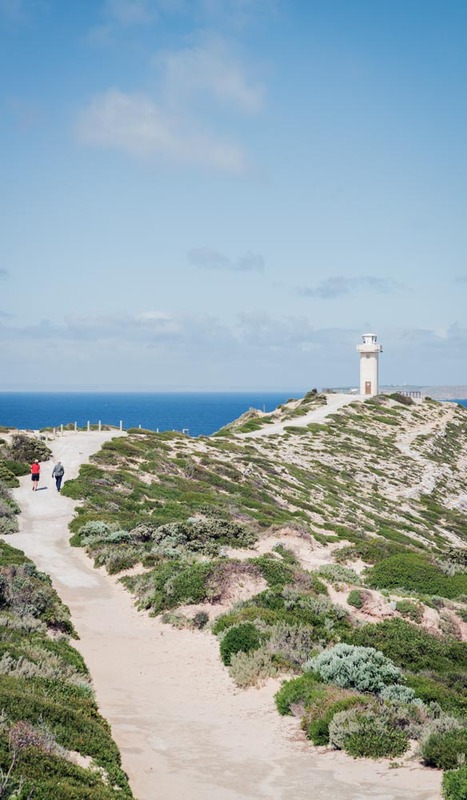 Innes National Park is an untainted adventure playground at the foot of Yorke Peninsula, comprising 9000 hectares of natural vegetation surrounded by surging seas. After a one-hour drive south from Edithburgh, it’s worth taking time to just watch the wild ocean waves from car parking bays at the perfect clifftop vantage points. 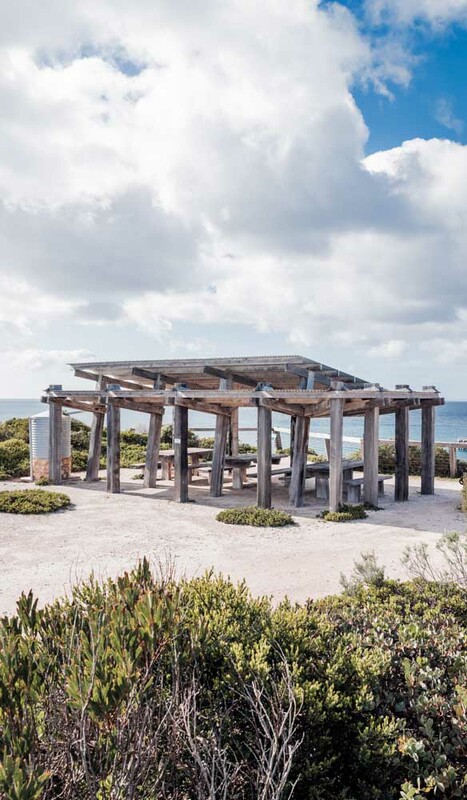 Improved road access throughout the lower Yorke Peninsula has prompted some significant changes to Innes National Park’s day visitor sections, with funky shelters built from recycled jetty timbers at Stenhouse Bay and West Cape, and a smart lookout at Ethel Beach above the iron wrecks of smashed ships Ethel and Ferret that poke from the sand below. Drive slowly and with care, because the road is shared with kangaroos, emus, mallee fowl and thriving colonies of tammar wallabies that have been rescued from endangered population levels. Large areas of reclaimed vegetation within the park are now protected by fences, but Pondalowie Bay still has compact designated sites for tents or camper trailers, which must be booked online. To experience the park’s rugged beauty at a slow pace, you can trace Walk the Yorke’s marked trails through the area. The full series of 16 linked paths covers 500 kilometres of the peninsula’s spectacularly rugged coast. Quenten Agius introduces another important perspective of the area during his Aboriginal Cultural Tours at Point Pearce, a 90-minute drive north from Innes National Park. Within this Adjahdura community, Quenten allows visitors to walk in his ancestors’ footsteps and share the stories of the world’s oldest living culture. Aboriginal Cultural Tours offers half-day to five-day tours, from coastal treks around Point Pearce and other parts of Yorke Peninsula, to bush expeditions that head north, to the Clare Valley and southern Flinders Ranges. A 40-minute drive north from Point Pearce to Moonta takes you on a different leap back through time. The Moonta Mines Museum provides a peek into the region’s mining history. Cornish miners came here to work copper deposits from the 1860s, and this Cornish influence is preserved in such treats as traditional pasties from The Cornish Kitchen in Moonta, and the biennial Kernewek Lowender – the largest Cornish cultural festival outside of England. Further north at Wallaroo, the huge Copper Cove Marina features a five-storey tower of apartments and hotel facilities. The marina also serves as a departure point for the fleet of Spencer Gulf prawn boats, which operate between November and June. The Coastal Way runs for 485 kilometres from Port Wakefield to Port Broughton via Innes National Park. Allow four to five days. 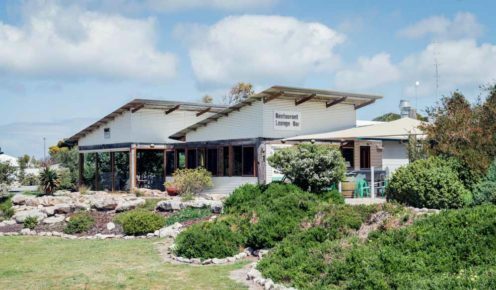 Staying there: Yondah Beach House, on a 120-hectare property at Foul Bay near the peninsula’s southern tip, is a glamorous three-bedroom guest house with a private beach. From $300 a night (four-night minimum stay). Marion Bay Motel embraces sharp contemporary style in its outstanding modern apartments. Guests can order gourmet picnic hampers to take on coastal treks. From $130 a night. Playing there: Copperclub at the dunes – At Port Hughes is a coastal golf course designed by Australian golf champion Greg Norman, complete with clubhouse restaurant and luxury housing. 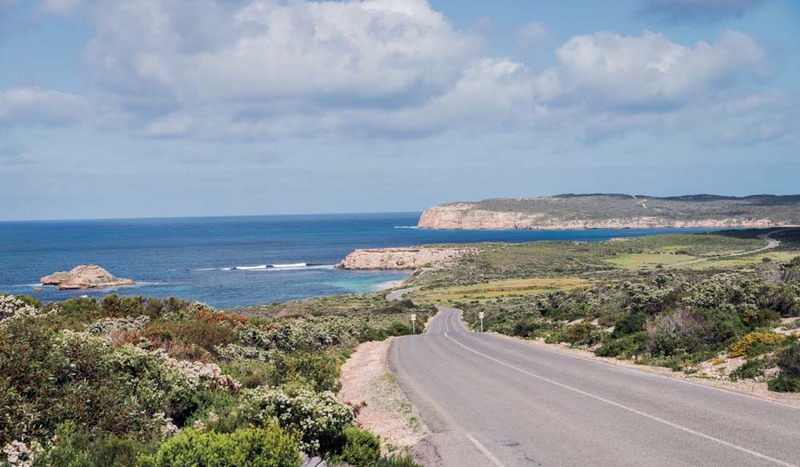 Getting there: The top of the Yorke Peninsula is about 130 kilometres from Adelaide, so allow about 90 minutes to reach Ardrossan on the east coast, or 120 minutes to reach Wallaroo on the west coast. It takes about two-and-a-half hours to drive the length of the peninsula, to Marion Bay and Innes National Park in the south, or about 40 minutes across the width of the peninsula, from coast to coast. When to go: Yorke Peninsula is a summer playground, best enjoyed from October to March, but its fishing grounds attract anglers year round.